Use microscopes to view the xylem vessels that transport the water up the plant. We will look at the part of the plant that takes the water from the roots to the leaves and the rest of the plant. See the blue spots in this stem - this stem was sitting in food dye for the last hour and the water moved up the stem and so did the food dye. 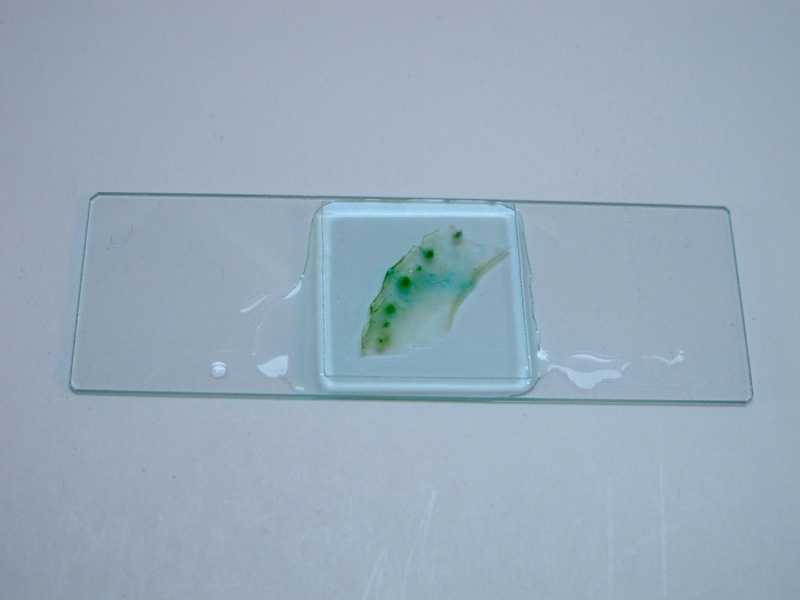 The dye shows us where the cells are that take the water up the stem. 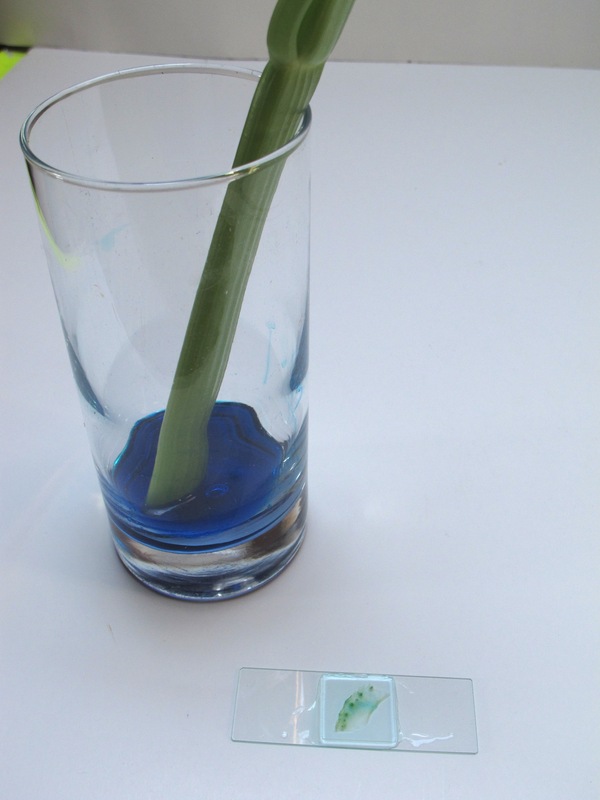 Make thin-as-possible slices of celery across the stem, to include one or two blue spots per sample. One slice on a slide. Add drops of water until there is water under the whole cover slip. Look at under the lowest magnification of the microscope first, then increase the power to see the xylem vessels in detail.